Since the 1980s, Robert Gibson has been working behind the scenes (or at least upstage) – as an accomplished jazz and orchestral bass player, and as School of Music Director at the University of Maryland. He has also been an active composer (his electroacoustic music, for instance, can be heard on National Geographic’s Explorer series). So it is high time he came center stage and we had a chance to hear his own chamber music. 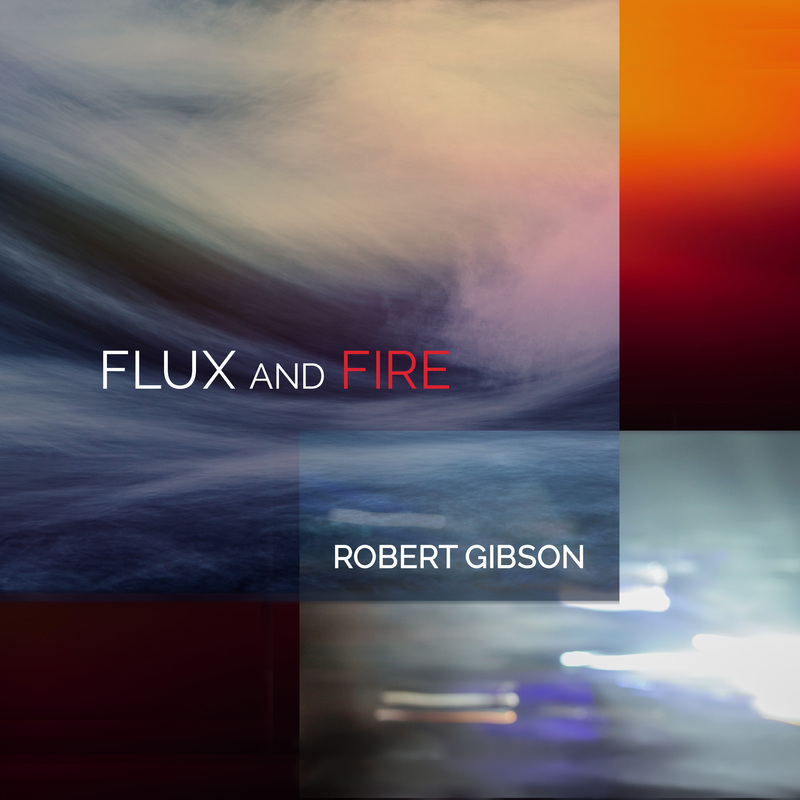 Flux and Fire features Gibson’s works for stringed instruments that were inspired by poetry. The fluid boundaries between music and poetry as art – and to specific poems as inspiration for instrumental music – is a deeply personal one for the composer and is a defining characteristic of much of his music. Some of the poets he draws from include Alain Bosquet, Stanley Kunitz, Paul Muldoon, while the listener may discern allusions to the music of Debussy and Takemitsu. The title of the double bass quartet Soundings is a reference in part to the nautical term for measuring the depth of water. This term has an obvious connection to the double bass as the “deepest” sounding string instrument of the orchestra. As a professional bassist, the composer notes that this work is “a personal exploration of the instrument that is closest to me in my life as a musician.” This recording showcases four members of the National Symphony. “One of the musical highlights, Maryland composer Robert Gibson’s Twelve Poems, was an evocative set of short character pieces, by turns moody, colorful, and dynamic, as performed by its dedicatees, violinist James Stern and pianist Audrey Andrist. In each piece Gibson was able to translate a descriptive title into an appropriate sound image, from which the musical shape could evolve. In Wind Chimes it was sliding string harmonics against bell–tones for the piano that made the connection. Reflection was opaque and contemplative, in the form of palindrome. Waves emulated the patterns of growth and decay that we associate with sound waves, and Cloudburst combined intricately chromatic runs for the violin with short, percussive tone clusters in the piano. With Hommage the music took a detour into a quasi–Debussyan soundscape. Quatrain and Octave, the last two pieces, used their respective intervals prominently, ending the work with a rush and a clarion flourish." — from San Francisco Classical Voice.